Oh. Hello. Didn’t see you there. But I am sure you saw me because, I mean, how can anyone resist this cute face?! 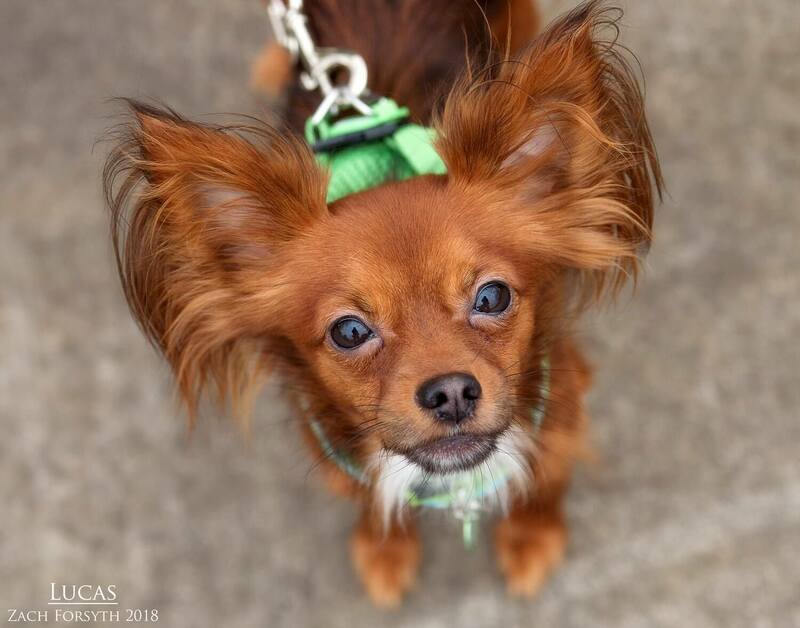 My name is Lucas and I am a 2 year old Long Haired Chihuahua mix. At just 7.5lbs, I may be small, but have a giant heart full of lots of love to give to you! I am very much a cuddler and enjoy as much lap time as I can get. That being said, I do have a playful side too and when I get really excited to play, I do the zoomies around the play yard. It’s pretty funny to watch. I am in a playgroup here with a few other doggy pals, though I am more focused on playing with my human pals over 8. Those kitties are welcome to join the crew as well. I am still getting used to walking in the big city and am doing really well, but I would much prefer a low key owned home in a quieter area versus downtown. I am just a handsome dude whose charm is sure to make you say, “awwww”. So fill out an application today and we can start our cuddle sessions right away! I come to you neutered, vaccinated, and micro-chipped with an adoption fee of $350.